Seasonal asthma can cause your symptoms to worsen with the change of weather. It refers to the swelling of the lung airways that is triggered by different allergens throughout the year. 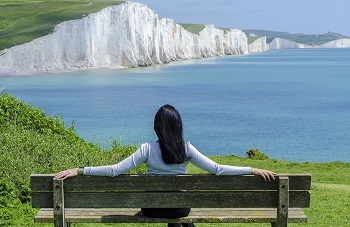 Breathing problems can wreak havoc in your life. But there are treatments that can help you to prevent this issue before it happens. Don’t let this problem ruin the wonderful burst of life that happens with the change of seasons. When spring and fall arrives, flowers and leaves change colors, the cycle of life continues. For those who suffer with asthma, this chronic condition can be painful. Allergy season usually begins with mid-spring and ends with summer. During this time, a large amount of pollen impacts a certain amount of men and women with breathing problems. Another prime time is the period from late summer to fall when weed pollens flourish. But with the right treatment plan, you can go back to enjoying the great outdoors. Seasonal asthma is finicky and can be triggered by any airborne allergens. Trees, grasses or flowers are suspects because they release pollen in the air on a regular basis. While symptoms in the spring are triggered by high levels of pollens, symptoms in the fall are usually set off by ragweed. While this disease may seem harmless, it can lead to other breathing complications. It can result in more severe respiratory problems such as bronchitis that require hospitalization. It is important for you to be aware of how your symptoms react during the different seasons. Some people get a lot worse at these times because of allergens in the air. If you have allergies, the symptoms might also include watery, red eyes, sneezing, and a runny nose. If it gets worse than this, you should seek medical help. This illness is tricky to prevent because it involves allergens that you usually cannot see or smell. Most allergens are part of the natural cycle of life and you cannot control substances that are outside of your home. Every time you step outside in the spring and fall, you run the risk of having an asthma attack. But the good news is that you can control the symptoms. If you have the right preventative plan, you can stop symptoms before they occur. As if asthma is not bad enough, your well-managed symptoms can get worse with the change of season. When an asthmatic has allergies that are under control, he or she can suffer with more frequent attacks. Find your triggers and avoid them whenever possible. Use asthma medications that your doctor prescribe to properly treat your symptoms. 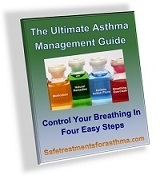 Use your asthma products daily to closely monitor your breathing. If you prefer, use natural asthma remedies to avoid side effects. Seasonal asthma can catch you off guard if you don’t know what symptoms to look for. They can be subtle or stop you in tracks. So it is best to know what they are before it is too late. When it comes to asthma symptoms you should know that they can change throughout the year. Different seasons can bring about different problems. But fear not ... the symptoms of seasonal asthma are easy to identify and it is treatable with the right treatment plan. Always remember that this disease can occur at any time of the year. Since your lungs are already sensitive and can react to any allergens, you are in constant danger. But with the right asthma management plan, you can spare yourself from the pain of an attack. As if asthma is not bad enough, allergies can get worse with the change of season. Basically allergies are an overreaction to normal substances that doesn’t bother most people. Your immune system has a strong influence on how you react to indoor and outdoor activities. When it is over sensitive to certain allergens, it can cause your lungs to swell and shut out the air that you need to breathe. When an asthmatic has allergies, he or she can suffer with more frequent attacks in the spring and fall seasons. This can lead to symptoms that get out of control. It can be subtle or life-threatening. Either way it is best to look for the signs early so that you treat them before it is too late. If you have allergies, these symptoms might also include watery, red eyes, sneezing, and a runny nose. If it gets worse than this, you should seek medical help. Your doctor can prescribe medication or refer you to an allergist that can help you to find your asthma triggers. The funny thing about asthma symptoms is that they can get worse even before you realize it. Even though your symptoms may seem to under control, they can quietly lead you into a danger zone. When you are mowing your lawn or raking leaves, watch to see if you have more breathing problems. 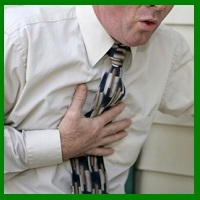 When you cannot take a deep breath, stop and seek medical care immediately. Seasonal asthma is finicky and can be triggered by any airborne allergen. 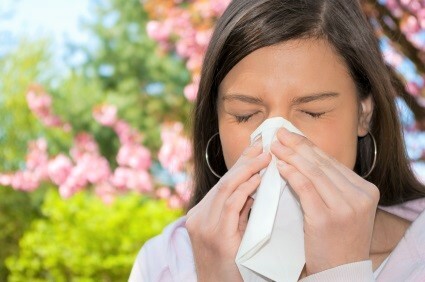 Trees, grasses or flowers are suspects because they release pollen in the air on a regular basis. If you suffer from asthma, allergies can make it worse. While symptoms in the spring are triggered by high levels of pollens, symptoms in the fall are usually set off by ragweed. Each season has its own challenges for asthmatics. While you cannot always see pollen, you may feel the effects through your breathing. Different triggers can cause problems so it is always better to have a management plan throughout the year. For many people, spring means new growth. But for asthmatics it means a long period of suffering. For those who have seasonal asthma, the pollen from the trees and the smell of the grass produce symptoms such as wheezing, coughing and shortness of breath. Other triggers that appear in the spring include mold, dust, and change of weather. While spring may seem the best time to go outdoors, asthma sufferers should stay away from pollen by staying indoors, using air cleaners, and wearing allergy masks if possible. Pollen rises in the morning and circulates in the air until late afternoon. During this time you are a prime target for asthma symptoms. Although spring has the highest pollen count, some people with seasonal asthma find that the hot, dry summer heat can make their breathing and wheezing worse. Between the high pollen count and the extreme temperature changes, it is a prime time for asthma sufferers to have attacks. Whenever heat is mixed with moisture, there is the risk of mildew and mold. 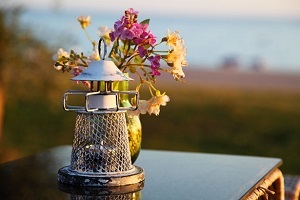 Summer is a good time to keep the air conditioner and air cleaner to maintain air quality. Besides providing clean, cool air, these devices will limit the pollen that enters into your home. 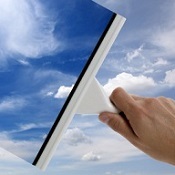 A clean house is the best way to combat mold, mildew and dust. A dehumidifier may be necessary to remove the moisture in dark, warm places like basements and garages. With the changing color of leaves, fall can be a bright and beautiful season. But be aware that the allergens from leaves, mold, and pollen are at the highest levels. This can lead to increased number or severity of asthma attacks. Pollen which is a natural by products of trees and plants can trigger wheezing before you know it. If you plan to rake leaves or have outdoor activities, then take preventative asthma medication. These include anti-inflammatory and corticosteriods that can decrease the hypersensivity of the lungs. This will help to control symptoms before they happen. During outdoor activities when pollen count is high, you should wear an allergy mask, wash hands frequently, and taking frequent breaks to go inside. Winter can be cruel because of the increase risk of respiratory infections, extreme weather changes, and dusty decorations. Although they may seem harmless to most people, these culprits can start a bout of uncontrolled coughing and difficulty breathing. Asthmatics are more sensitive to their environment so they have to take special precautions to avoid breathing problems. Cold, dry air can be a major trigger. With the cold weather, you should keep your breath warm by breathing through scarves and gloves. When the temperature is extremely cold, stay indoors and avoid breathing problems. During the winter months when the temperature dips down, be cautious of your surroundings. To prevent asthma symptoms from flaring up in the winter, keep away from anyone who may have a cold or the flu. When it is cold, always wear head gear and try to breathe through a scarf to add heat and moisture. When decorating, choose simple holiday decorations and keep them clean. Different seasons have different triggers. While seasonal allergies may seem harmless, it can lead to other breathing complications. It can also result in more severe respiratory problems that require hospitalization. When you are aware of the unseen triggers, you are more able to use an asthma action plan to prevent and treat symptoms. Seasonal asthma can be dangerous for certain individuals. As the seasons change, allergies cause breathing problems for many unsuspecting asthmatics. While the biggest culprit is pollen, there are many natural triggers that can set off wheezing and coughing. But you don't have to be a victim ... there are treatments to prevent symptoms. While there is no cure for asthma, the right management plan can help you to live a healthy lifestyle. If you are prepared for seasonal changes, you can control symptoms before they happen. The first step to any treatment is proper diagnosis. If you feel that you may have seasonal asthma, then consult your doctor. Asthma is a not an easy disease to diagnose. After a thorough medical history and physical, your doctor can start you on a medication regime to treat and prevent symptoms. Asthma is different for each individual and an allergy test can tell you about your triggers. Your doctor may refer you to an allergist for further testing. A simple prick on the finger can tell you about the allergens to watch out for. With this information, you can learn to avoid certain triggers and improve your breathing. Use asthma medications that your doctor prescribe to properly treat your symptoms. Symptoms can be managed with bronchodilators, anti-inflammatory medications, and nebulizer treatments. While some medications are preventative (e.g. corticosteroids, leukotriene modifiers, Theophylline), other medications provide immediate short term (albuterol). If you have been given corticosteroids to take during asthma season, make sure to use them as directed. As the seasons change, your doctor may adjust the dosage of your asthma medication to accommodate the increase in pollen. If your symptoms become severe, you can use a nebulizer to for quick relief. Seasonal asthma does not have to leave you breathless. If you are unsure on how to deal with your breathing issues, you can begin an asthma action plan to manage your symptoms. Once diagnosed, you and your doctor can start a plan of care for medications, treatments, and emergency care if necessary. These will work together to show you how to prevent wheezing and coughing on a daily basis. Your asthma action plan should include everything that you need to prevent and treat asthma attacks anytime and anywhere. While avoiding allergens play a major part in preventing symptoms, there are simple things that you can do daily to maintain your health. During the spring and fall, your doctor may prescribe additional preventative medication to combat the extra pollen in the air. Allergy shots may provide relief for anyone who has seasonal allergy. Since allergies are often associated with this ailment, it may be helpful to try this type of therapy. Allergy shots are given over a long time to build immunity against certain allergies. It helps to realign your body’s immune response so that you don’t respond so dangerously to common triggers such as pollen and dust. If you prefer, use natural asthma remedies to avoid side effects. There are natural supplements that can boost your immune and respiratory system to increase your lung function. 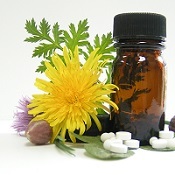 NaturalRemedies.com offers a line of supplements that contain herbs to naturally boost the respiratory system. Breathing exercises are a non-conventional way to build up the strength of your lungs. If you feel anxious about your asthma symptoms, you can use asthma breathing exercises to open up the airways and release stress. But if you feel that it is getting worse, then seek medical help. If necessary, go to emergency room if your symptoms get severe. Always remember that seasonal asthma can occur at any time of the year. Since your lungs are already sensitive and can react to any allergens, you are in constant danger. But with the right treatment, you can spare yourself from the pain of an asthma attack. Self-monitoring is the key to controlling symptoms so you can function normally. If you like outdoor activities during spring or fall, then pay extra attention to your symptoms. It is important for you to be aware of how your symptoms react during the different seasons. Use a peak flow meter and journal to keep track of how well your lungs function during this time. This will tell you if you need to adjust your medication or treatment plan. Some people get a lot worse at these times because of the high levels of allergens in the air. You can work with your doctor to make or adjust an asthma action plan to compensate for these seasonal changes. Asthma that is well-managed should not keep you from performing your usual daily activities. If you enjoy outdoor sports or activities then you may have to take asthma medication to prevent symptoms. If you have allergies, be aware that asthma symptoms may change over time. As you get older, there is a chance that your body can react differently to same allergens. Be open-minded with your treatment plan so that you can re-adjust when needed. Stay alert and you will know what you need to live symptom-free. Seasonal asthma is tricky to prevent because it involves allergens that you usually cannot see or smell. Allergens, such as pollen and pollution, are part of the natural cycle of life and you can’t control substances that are outside of your home. Every time you step outside in the spring and fall, you run the risk of having an asthma attack. But the good news is that you can control the symptoms. Pollen is everywhere and it can cause you to wheeze even before you realize it. If you have the right preventative plan, you can stop symptoms before they occur. The first step in preventing seasonal asthma is to know your triggers and to have a home maintenance plan. 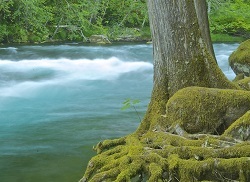 Natural triggers are anything in the environment that can set off asthma symptoms. Everyone is different and have different triggers. A home maintenance are the simple things that you can do in your house to prevent breathing problems. Watch Pollen Levels. 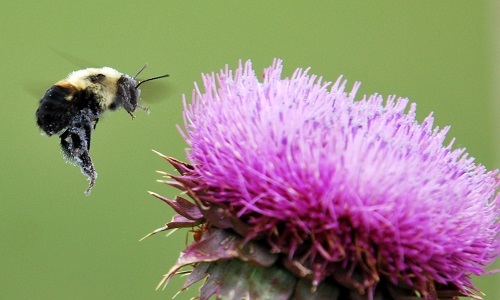 One of the worst offenders for allergy and asthma sufferers is pollen. It is the natural byproduct of plants and trees. If you want to avoid many of problems from this tiny enemy, pay attention to the pollen count in your local weather report. This will tell you when to adjust your medication or treatment plan. Avoid Outdoor Activities When Pollen Is High. The only way to effectively fight pollen is to stay indoors when levels are high. Since there is no way to completely remove it from the outdoors, the best way to prevent symptoms is to stay indoors where exposure to pollen is minimal. Maintain A Clean Home. 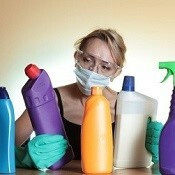 A home that is clean reduces your exposure to allergens such as dust, mites, mold and smoke. Although they may seem harmless to others, these culprits are dangerous to asthmatics. 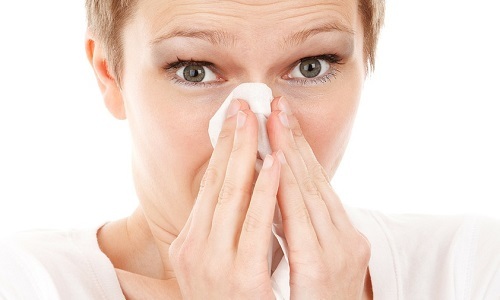 Bedrooms, kitchens and bathrooms are the worst rooms for allergies. They should be cleaned regularly with allergy free cleaning products to avoid bringing more toxic chemicals into the home. Wear An Allergy Mask. 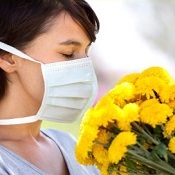 Whether you are indoors or outdoors you can wear an allergy mask to filter out allergens such as pollen, mold and dust. When used on a regular basis, an allergy mask can prevent you from breathing in substances that can irritate your lungs and this will decrease your symptoms. Try Allergy Bedding. If you or one of your family has allergies, then you should consider allergy bedding. They are usually organic and do not allow dust mites to live in the bed with your children. Dust mites are small organisms that feed off of dead skin cells. Although you cannot see them, dust mites can worsen asthma symptoms without you even realizing it. Keep Windows Closed. When the pollen count is high or temperature is extreme, close your windows so that you can keep allergens out and maintain an even temperature. This will provide less stress to the lungs and trigger less wheezing and coughing. Use An Air Conditioner or Humidifier. Between the hot days of summer and the wicked pollen in the air, it is better to use an air conditioner or humidifier to circulate the air, remove allergens, and moisten the air for your lungs. Dust Frequently. Dust is another cruel enemy of asthmatics. It is not something that you can completely eliminate but you can control it. 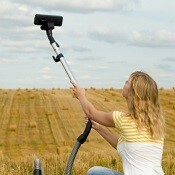 A good dusting once a week will remove most allergens from the outdoors. If you use an allergy-free furniture cleaner, it will stop symptoms before they occur. Use Home Air Cleaners. These devices can filter out the pollen and ragweed from the air. They will lower the amount of allergens in your home and maintain better air quality. If you can decrease your exposure to certain triggers, it will decrease your risk of an asthma attack. Have An Asthma Action Plan. Ultimately you should have an asthma action plan to prevent and treat symptoms. Once your doctor determines what you are allergic to, this plan will show the medication and treatment plan to prevent breathing problems associated with the change of seasons. So you don’t have to suffer from seasonal asthma symptoms if you take the right preventative measures. It is simply a matter of having the right measures in place so that you are prepared for battle as each season rolls by.